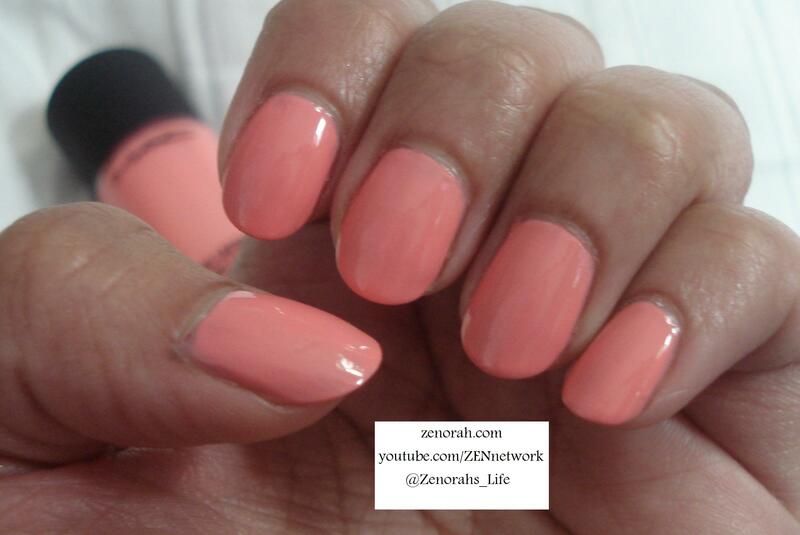 MAC ‘Play Day’ – is a gorgeous coral-pink-melon creme polish and it’s one of the prettiest colours in my collection to date. 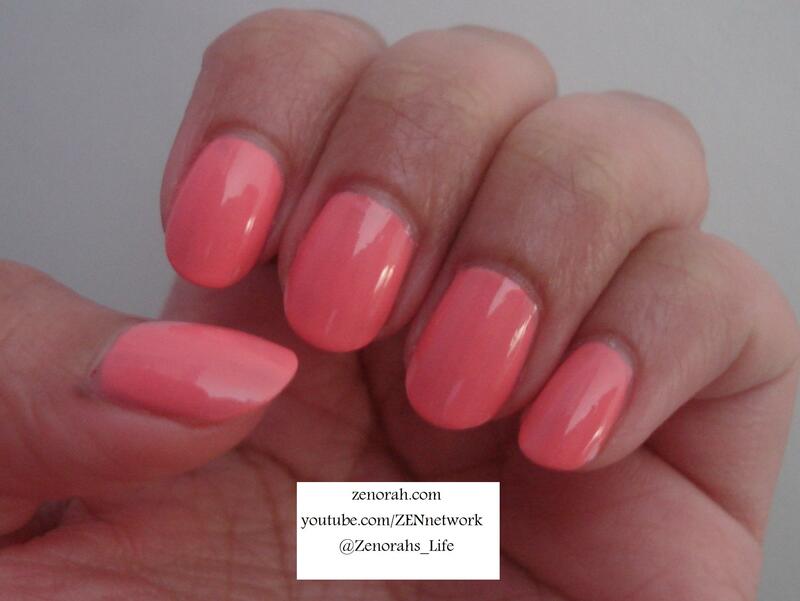 It’s the perfect proportion of coral & pink in that it doesn’t lean more onto one side & this polish is bright! The last photo really captures the beauty of it, not sure which collection this polish came from or if it’s permanent as it was gifted to me. It took three coats to be fully opaque and I will admit when I wore one coat I thought it was a goner – it was patchy and thin I was about to shake my head at MAC once again for selling yet another crappy polish. BUT after the third coat it did level itself out and once it dried….shear perfection!! The dry time was decent as well, I was impressed that it didn’t take long to dry for three coats of polish. This photo captures the true beauty of the colour, makes me want to wear it again! 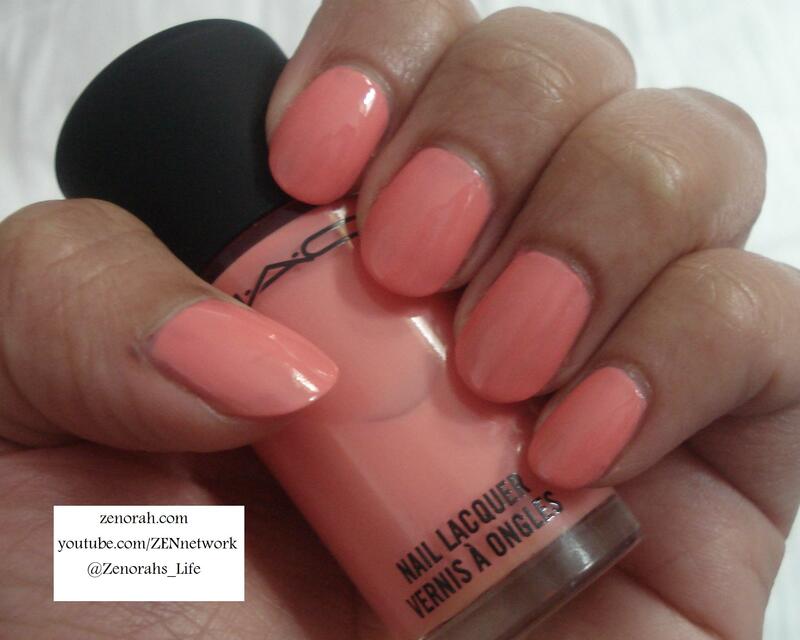 It’s such a fun summer polish – will definitely be painting my nails with it soon!! And the BEST part if not simply for the colour was the wearing time – it lasted a FULL week without a single chip!!! This is definitely new territory for MAC polishes so it kinda makes me want to go out & buy a few more. If you ever come across this polish, GRAB it!! You will LOVE it! Do you own MAC ‘Play Day’? What are your thoughts on this nail polish?